You’ll feel the ethereal calm of peaceful village life when you hang this dramatic and telling wall hanging in your home! 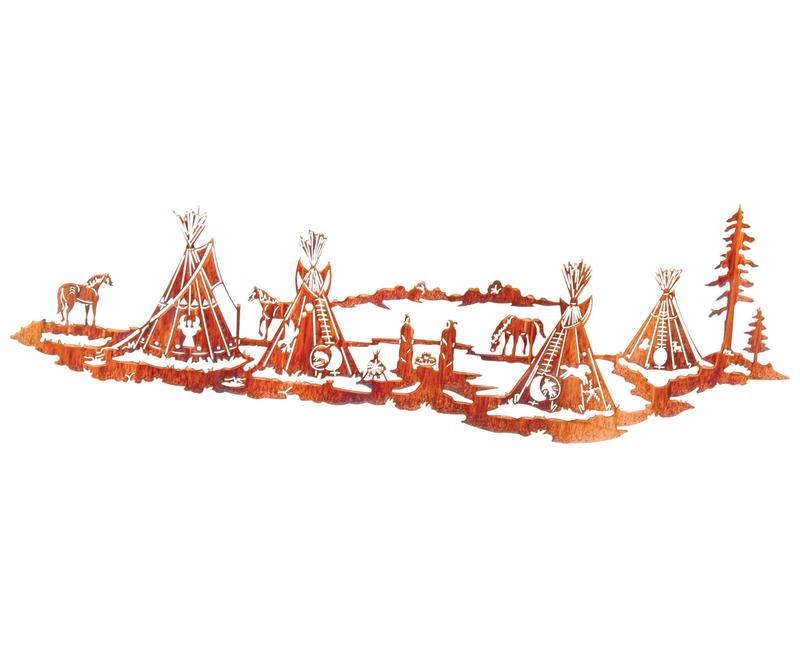 The Native American Village Metal Wall Sculpture features a stand of teepees, horses, and Native Americans milling about for an overall surreal look that you’ll adore. Hang this in any room where you want to add an air of authenticity to your native American, western, or lodge decor.